Sell tickets like a PRO! 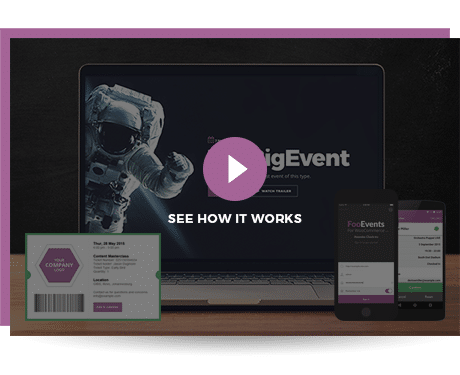 FooEvents adds powerful event and ticketing functionality to WooCommerce and will have you up and running within minutes. No ticket fees and no technical skills needed! FooEvents removes the middle man and makes it possible to sell an unlimited number of custom branded tickets from your own WordPress website without having to pay any ticket fees or commission. 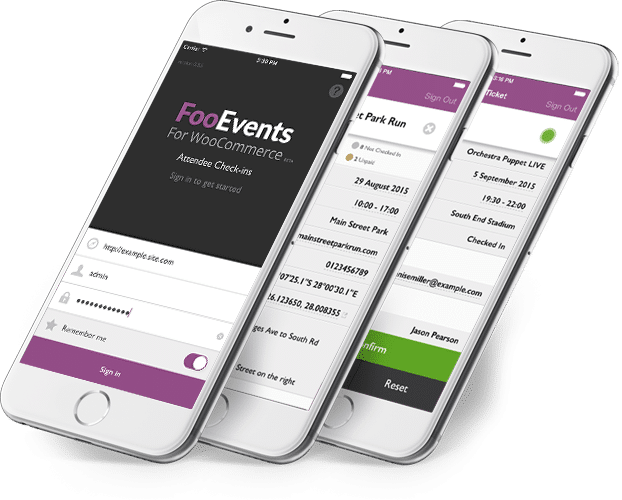 FooEvents ensures that you have full control over the ticket sales process and customer data, making it the safest and most flexible event and ticketing solution available. There’s no need to struggle with clumsy spreadsheets or kill trees when you can manage event check-ins with our free, easy to use iOS and Android apps. The FooEvents Check-ins apps give you the tools to manage access to your event like a pro and they even work without Internet access! We get you, because we’ve been you! Before we started FooEvents, we were an established digital agency called Grenade. One of our clients needed to sell tickets for an event and we quickly discovered that the available solutions were either too expensive, over complicated, badly coded or all of the above. We decided to build our own ticket plugin and due to it’s elegant integration with WooCommerce and simple, user-friendly design – FooEvents has evolved into an industry favorite. Although we don’t think you’ll ever want one, we’ll gladly provide a refund if it’s requested within 7 days of purchase. Why do our customers love FooEvents? With over 5,000+ sites using FooEvents, it is the perfect solution for YOU. Here’s why smart business owners, designers, and developers love FooEvents! FooEvents can be setup for practically any type of event. Have a look at our example events to see for yourself.